​​"We are happiest when our bodies are balanced and at ease. My goal for you as a patient is to facilitate ease of movement and help you feel comfortable and "at home" in your body again." Amerissis’s training started in 1998 at the University Anchorage Alaska where she graduated with 1050 hours as a certified Massage Therapist. 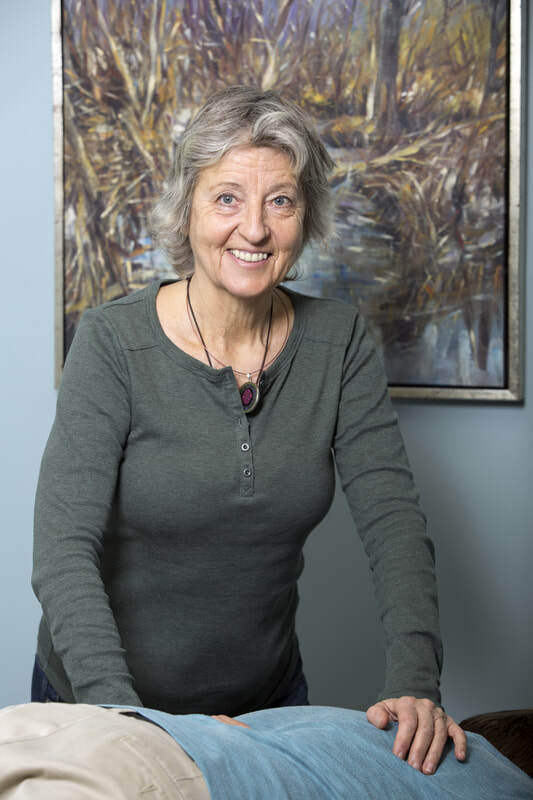 While at UAA, she was introduced to CranioSacral Therapy, which she fell in love with and pursued for the next ten years with extensive training from the Upledger Institute in Florida. Then, 3 years later, adding Visceral Manipulation to create a whole body approach to treatment. By addressing the central nervous system through CST, which is connected to every system including the muscular-skeletal system with a gentle touch, Amerissis is able to detect restrictions within your body and help shift and release them. Her sessions most often include Visceral Manipulation, which works with the motility and mobility of affected organs. When the ligaments of these organs to the skeletal system shorten, due to accidents, falls or other traumas, stress is put upon the skeletal system and over time whole muscle groups or an entire side of the body may be affected, leaving a person in pain and discomfort. Her work is mostly light in touch, but it carries a punch and will ripple through your systems as needed. Amerissis has been a therapist for the past 19 years and loves what she is doing. She feels very privileged to be able to serve the community in this way. Her other passion in life is to travel, to study the healing practices of other cultures and see life from different perspectives. The past 7 years has taken Amerissis to the Amazon jungles and the high Andes of Peru, where she studied healing forms with indigenous shamen and plant medicines. A long journey through South and East Africa led to teaching a Massage course to Zulu women, raising chickens for an orphanage in Zimbabwe, and caring for special needs children in Uganda. And, as of late, she just returned from India, where she studied the many different types of Meditations and Ayurvedic healing forms.